An icefall is a portion of a glacier that flows over a very steep area in the underlying bedrock much like a waterfall, hence the name "icefall". 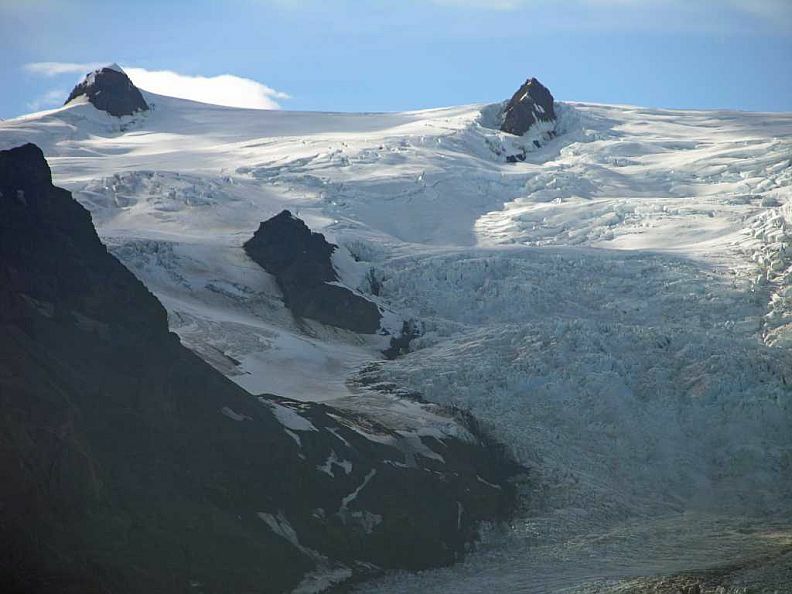 The relatively fast flowing speed of the glacier in this area causes the upper layers of ice to crack up, producing a very erratic and dangerous surface full of deep wide crevasses and seracs. 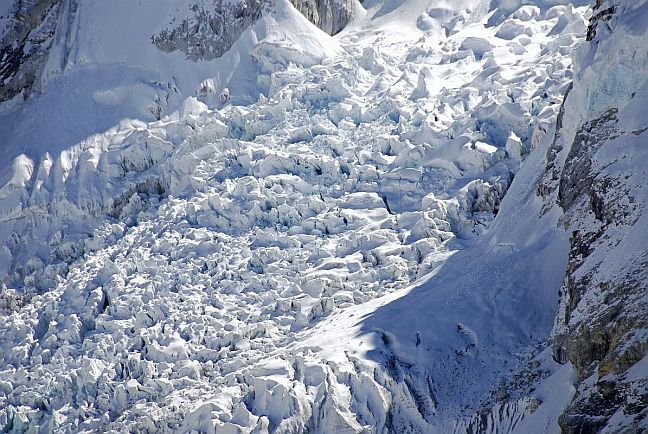 Perhaps the most famous of all icefalls is the Khumbu icefall on the western side of Mount Everest.